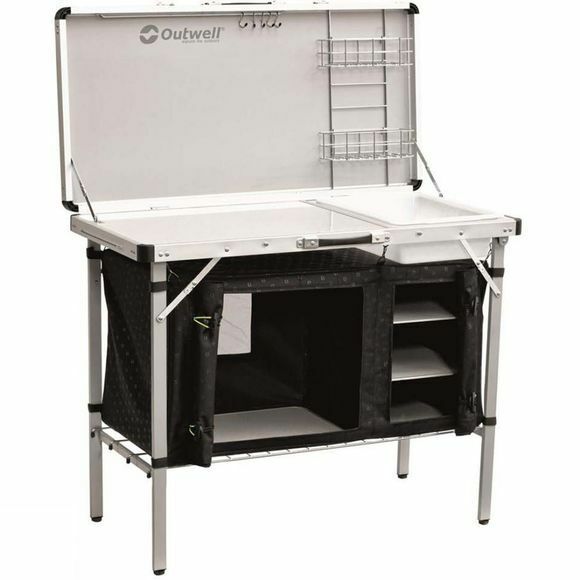 The Drayton Kitchen Table from Outwell lets you take everything except the kitchen sink (there's one included) with you when you go camping. 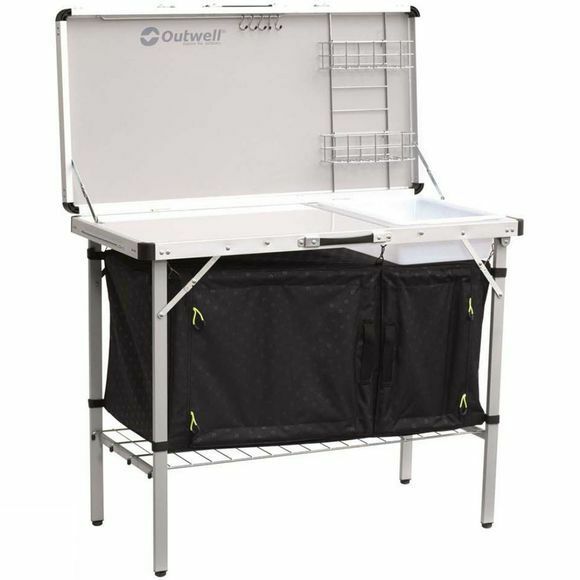 It offers a preparation space for cooking, a storage solution for all the pots and pans as well your camping gas and stove. The doors roll up for easy access and have magnets in them to keep them closed.